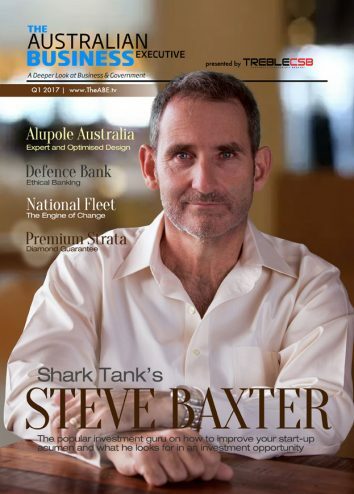 The Australian Business Executive (The ABE) magazine is our publication available in both digital and print formats. 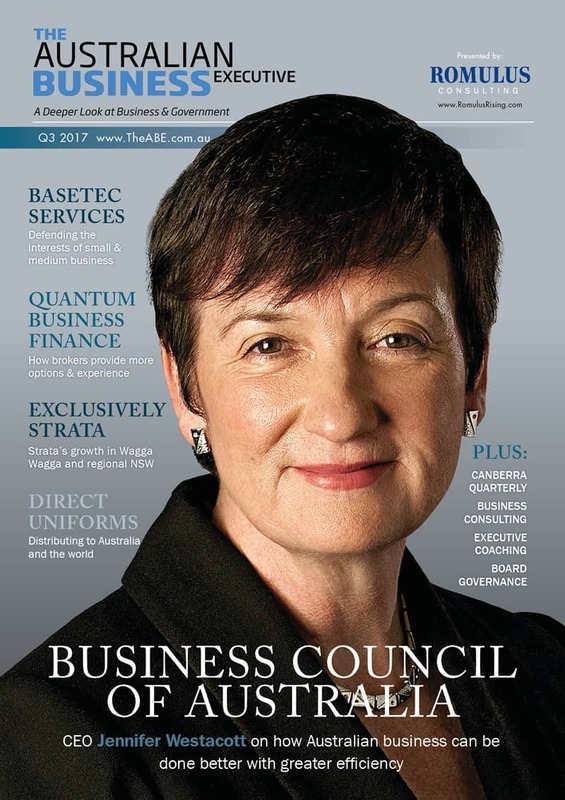 Published quarterly, The ABE provides an in depth view of business and economic development issues taking place across the country. Featuring interviews with top executives, government policy makers and prominent industry bodies, The ABE examines the news beyond the headlines to uncover the drivers of local, state, and national affairs. 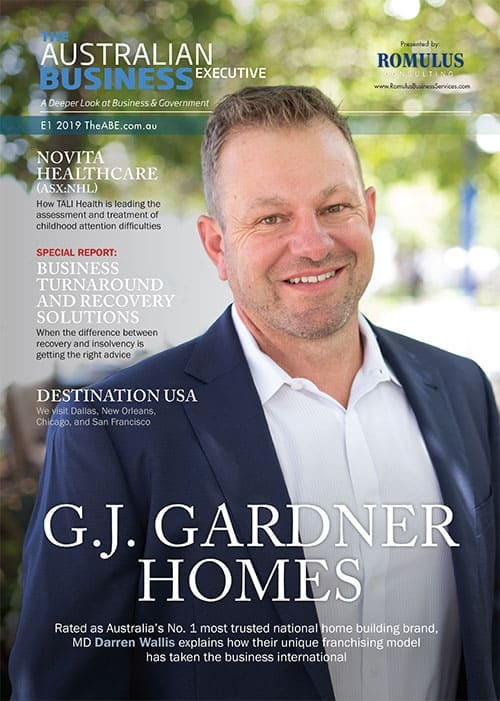 With more than 40,000 subscribers, 30,000 social media followers, and an estimated readership of more than 55,000 per edition, The ABE is the place to have your business issues more broadly heard and understood in front of an engaged, national audience. The ABE magazine is free to read in digital format with recent editions archived below. For hard copy subscriptions please visit our shop here. Columns: [Taxation] A tax or attacks?, [Management] Charting a course through political and economic headwinds, [Finance] Financial advice – who needs it?, [Legal] The necessity for your General Council to have a “seat at the table” , [HR] Culture is strategy and strategy is culture, [Unions] The path to a preventative mental health program in the law enforcement environment, [Marketing] Why Blog?, [Management] The CEO Journey: Is it time to capture your legacy? 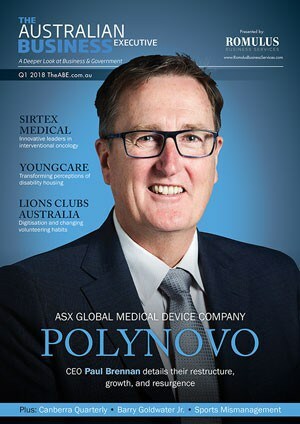 Podcasts: PolyNovo (ASX:PNV), Sitrex Medical (ASX:SRX), Lions Club Australia, Youngcare, Barry Goldwater Jr.
Also includes: Quantum Business Finance: A-list finance broking, A Warning Call: Basetec Services MD Charles Figallo on how legislation and multinationals are crippling service contractors, Direct Uniforms: dressing for success, Exclusively Strata: the way of the future, Consulting: turn your experience into a successful business, Executive Coaching: being the CEO of yourself, Royal Institute for Deaf and Blind Children: providing vital services to Australians for over 150 years, The Canberra Quarterly, Customer journey and marketing automation, The perception of your reputation, Senator David Leyonhjelm on dual citizenship, Do you need governance training for board positions? 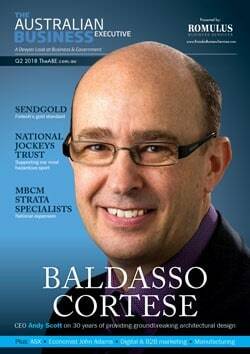 Podcasts: Trility, Bisalloy Steel, RMS Software, SNC-Lavalin, Norco Co-operative, City of Albany, Aphrodite Gold. 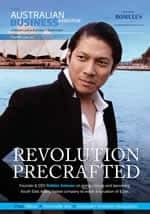 Also includes: How Red Tape Almost Killed Me, Where to From Here in Australian Politics?, Sensing Our Way to a Brighter Future, What’s Ahead for the Minerals Industry, Defence Bank, Premium Strata, National Fleet, and Alupole Australia. 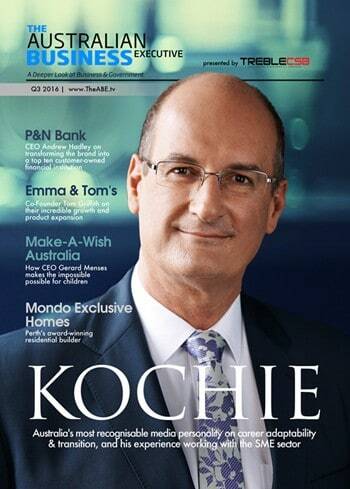 Also includes: Better Boards Australasia, Emma & Tom’s, P&N Bank, Make-A-Wish Foundation, Samantha Chambers-Skeggs, Mondo Exclusive Homes, Urban Development Institute of Australia (UDIA) National President Michael Corcoran. 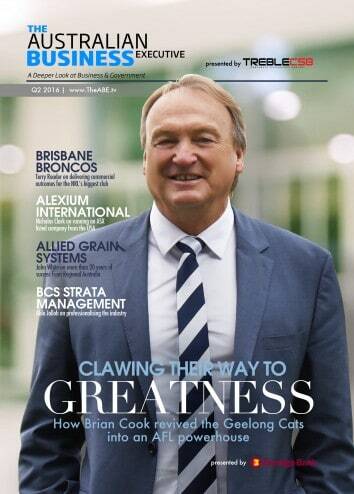 Also includes: Brisbane Broncos, Alexium International, Allied Grain Systems, BCS Strata Management, Australian Retailers Assocaition (ARA), Public Relations Institute of Australia (PRIA), National Offshore Petroleum Safety and Environmental Management Authority (NOPSEMA), Tahiti travel feature, Super Retro Trio & Soundshield Wireless product reviews. Cover story: Max Markson, Founder, Markson Sparks! 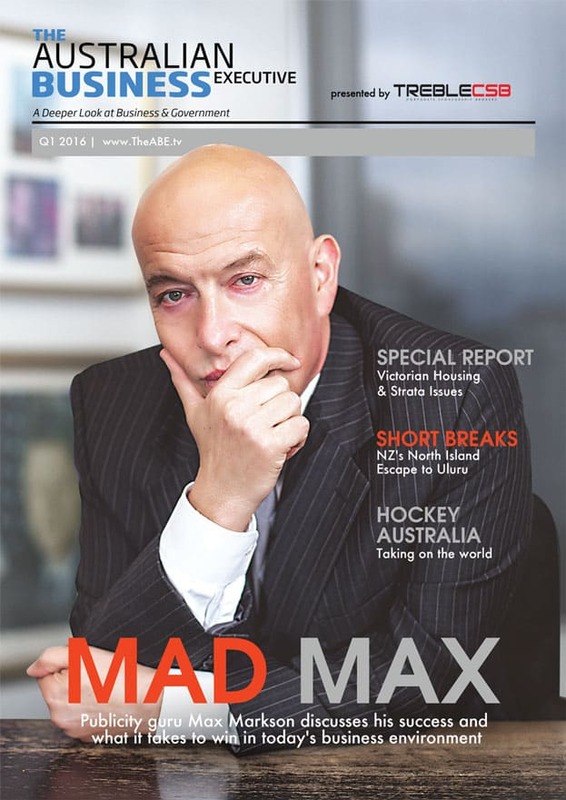 Also includes: Special Report on Victorian housing w/ Minister Martin Foley, HIA’s Gil King, Fasham, Hamlan Homes, Zuccala Homes, Strata Community Australia (SCA), Network Pacific Strata Management, Strata Data, Hockey Australia, Money In Sport, Monash IVF, & travel features on New Zealand’s North Island as well as Uluru. Also includes: A-League Special Report including Sydney FC & Chairman Scott Barlow, Wellington Phoenix FC & Central Coast Mariners. JG King Homes, OncoSil Medical, Diving Australia, NSW MP John Sidoti. Also includes: Adelaide Crows FC, MGA Whittles Group, NEXTDC, Mustera Property Group, Pristine Living Management, PharmaSynth, Resitech Group, Claw Environmental, Preston Manning. Also includes: TONSLEY, Basetec Services, South Australian Chamber of Mines and Energy (SACOME), Bower Construction, ASTRA Group Services, Diabetes Victoria, Sydney Mining Club. Also includes: Frasers Property Western Australia, GK Strata Management, City Beach Builders, Minerals Council of Australia (MCA), A.M.S. Tugs & Barges, Canadian Australian Chamber of Commerce, Football Queensland. 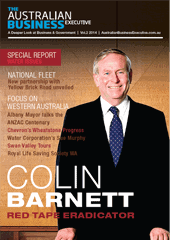 Also includes: National Fleet, Mayor Dennis Wellington and the City of Albany (WA), Water Corporation, Chevron’s Wheatstone Project, Cardno, South Australian Chamber of Mines & Energy (SACOME), R.I. Brown Structural Civil Engineers, ACE Body Corporate Management, Swan Valley Tours, Royal Life Saving Society WA. The Australian Business Executive is a division of Romulus Rising Pty Ltd – copyright 2019. All Rights Reserved.